My dad was inducted into the Boca Raton Hall of Fame today. He did things people thought just happened. Congratulations to my parents for this award. Because my Dad worked very hard at his job for years and my mom was right beside him all the time. Usually in V.I.P. 🙂 Proud of you both! here’s one for the relatives! 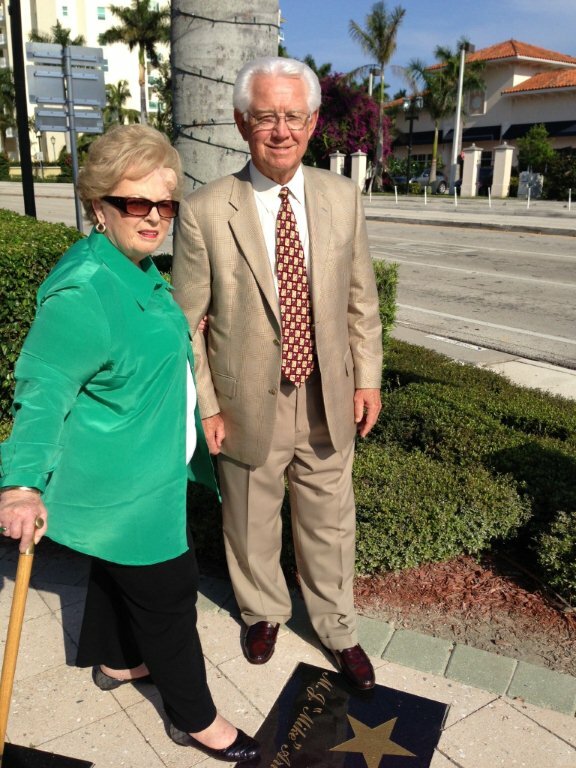 I am thrilled Mike Arts was finally recognized for the Boca Raton WALK OF RECOGNITION! Mike did a great job and was dedicated to the Boca Raton Chamber of Commerce for over 20 years. He strived to do all he could for our business community and our community in general. I know this as factual for I served on he Board of Directors when he was President and CEO. My husband Ben and I CONGRATULATE MIKE ARTS AND HIS DEAR WIFE CATHY who was always there to support MIKE.